Every blog post from author Siobhan Daiko transports me to a beautiful, far away location. Do her novels do the same? Oh yes, and then some. So when Siobhan wanted to interview me for her blog, I was beside myself with excitement. 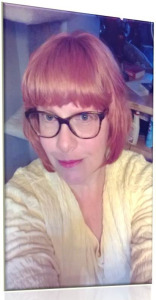 I hope everyone will take this opportunity to check out her wonderful blog and investigate her vivid, beautiful novels as well. 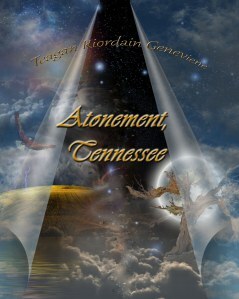 which is the sequel to her debut novel, Atonement, Tennessee. 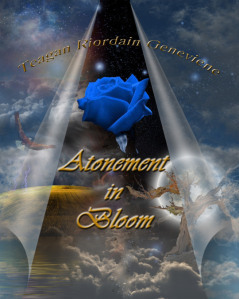 Teagan writes fantasy fiction, and started her blog as part of her grand experiment in Indie publishing. Welcome to Italy, Teagan. So glad you can join me in an aperitivo. What can I offer you? A glass of Prosecco? A spritzer? A Bellini? 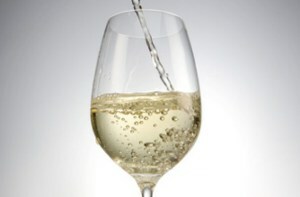 Or perhaps some Pinot Grigio or Bardolino? Thank you, Siobhan. You’re so thoughtful. On a lovely sunny day like this, I think I’d like a spritzer, please. Ooh, think I’ll have one too. (Pours a glass). Cheers! Posted on August 18, 2014 by Teagan R. Geneviene •	This entry was posted in Uncategorized. Bookmark the permalink. Many thanks, RC. I really hope your are not working too hard… You are truly amazing! Just getting to this, its been a busy summer. This is a great interview. She asked about your start and your future and allowed you to share part of yourself. Keep up the good work. Take care Friend. Thanks for stopping by Turquoise Compass today. It’s never too late to dream a new dream. Have a fabulous turquoise day and enjoy reading about my travel story. Jessica, anything turquoise has to be fabulous! Hugs! Daniel, that is so nice of you to say. It really is. It’s no wonder your stories are so beautiful — you truly do have a way with words. Hugs! Teagan, it’s so nice to learn a little more about you and the force behind Pip and the others. More remarkable is to be so captivated by the detail and action of your story and realize how little time is available for you to work such magic. I wish you well. Click on any of the blue text for links. Feeling a little better each day, It’s sweet of you to ask. Time to get dressed for work now. Hugs! these days most people prefer webstores over bookstores! i can guess why! take care of yourself my dear friend. Hope it will get well completely ASAP. Many thanks Trisha. I am getting there — and faster than expected. Huge hugs! Loved knowing you a little more Teagan. Is your first novel out in the bookstalls/webstalls? Dear Suzanne, you are so kind. I am blushing at all the attention. It is not something I’m used to at all. I knew everyone would like Siobhan, and I’m gld this gives you all a chance to meet her. Teagan my lovely what a great interview and I love Siobhan also. I thought it was wonderful. I’m delighted that you enjoyed the interview. I give full credit to Siobhan. Hugs! That’s so sweet of you Olga — thank you very much. Siobhan’s blog is a delightful place. Cheers (and of course) hugs! Hi Joye! What a nice surprise. Thanks so much for taking a moment to comment. Sending you & yours love, light, and huge hugs! Why thank you so much, kind sir. Mega-hugs! Great interview with you, Teagan! I really like interviews because, more than anything else, I think they help readers learn a lot about an author, and quickly. Nice job! Thank you so much Debra! I’m delighted that you enjoyed it. But i give credit to Siobhan for her charming “setup” and her questions. Big hug! You’re so very kind, Siobhan. I couldn’t resist sharing. Hugs! Thank you so much Mihran. Huge hugs! Great Monday Interview – very enjoyable!